True to our mission to nurture and inspire our best young Hong Kong Artists, we will present our signature HKGNA Stars and Friends concert. This year we are proud to present Hong Kong’s leading and finest string player, violist Andrew Ling performing with HKGNA’s best young artists, including our HKGNA Music Competition winners: Grand Prize Winner, Pianist Wong Sze Yuen (2016), Pianist Liyan He (2010), 1st Prize Winner junior piano division, Pianist Grace Cheung (2016). 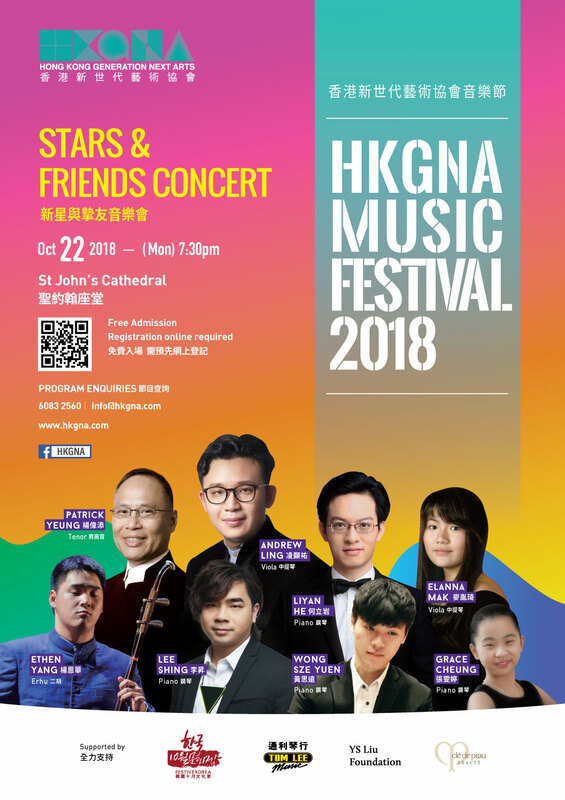 We also feature Rising Star Violist Elanna Mak, HKGNA/ADA Musical Angel Pianist Lee Shing, Lee Hysan Foundation /ADA Musical Angel, Erhu player Ethen Yang; we also present HKGNA’s very own wonderful tenor Patrick Yeung! Piano Sonata No.30 in E Major, Op.109, 1st & 2nd mvts. Piano Sonata, Moonlight, 3 rd mvt. Cheung Man Ting Grace has an innate musical talent and was first introduced to the piano at the age of three. In 2011, Grace studied Piano with renowned pianist Ms Eva Lue and later was admitted to the Pre-Junior Music Programme of Hong Kong Academy for Performing Arts (HKAPA). At the age of eight, Grace gained a distinction in the ABRSM Piano Grade Eight Examination. Now, Grace is taking the Junior Music Programme and studying with Professor Eleanor Wong in HKAPA. Grace has garnered a host of awards and competition prizes. 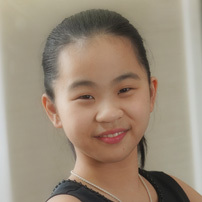 In 2011, she was awarded Champion of the Children Group C of German Irmler Competition in China. In 2013, she won 1st place in Grade Four of Graded Piano Solo and 1st Place in Piano Solo of Chinese Composers (Junior) at the Hong Kong Schools Music Festival. She also won 1st Prize in Junior Class A of Professional Category of the 2nd Japan-Hong Kong International Music Competition and Children Class C and in Piano Solo of Chinese Composers (Junior) of Chopin Memorial Prize of 2013 Hong Kong International Piano Open Competition. In 2014, she won Gold Award in “Age Group 6 – 8” of Gifted Pianist Contest and 1st Place in ABRSM Piano Grade 7 Class of Liszt Memorial Prize of 2014 Hong Kong International Piano Open Competition. In 2015, she won 1st Place in Grade Six of Graded Piano Solo and the Piano Solo of Chinese Composers (Intermediate)at Hong Kong Music Festival as well as she received ABRSM Piano Grade 8 Music Exam – Distinction. She also won The 79th Steinway & Sons International Youth Piano Competition (Hong Kong & Macau Regional Competition) – 1st Prize (Amateur Class Group A). In 2016, Grace won 1st place in Grade Seven of Graded Piano Solo. She won the 1st Prize in HKGNA Music Competition 2016. Grace is currently studying at Diocesans Girls’ School. Elanna Mak 14 years old and studying at Hong Kong International School. 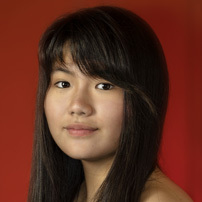 This year, she won First Prize at the American Protégé International Strings Competition on Solo Viola and made her Carnegie Hall debut in June 2018. Elanna was also the Principal Violist of the Asian Middle Schools Honor Orchestra 2018 and Principal Violist of the prize-winning Hong Kong International School Middle School Strings Orchestra. A gifted multi-instrumentalist, Elanna was one of the youngest invited guests at the Hong Kong Generation Next Arts Festival 2014 (playing piano) and Musicus Society Festival 2017 (playing violin and viola). She has performed on stage with the Hong Kong Philharmonic Orchestra and the Mantua Chamber Orchestra and played at some of the most prestigious concert venues in Asia, including the Hong Kong Cultural Centre and Hong Kong City Hall. She has been invited to perform with the world-renowned Hong Kong Chinese Orchestra on violin in January 2019. Elanna has had the privilege of participating in masterclasses and lessons with Dong Suk Kang, David Takeno, Pavlo Beznosiuk, Michael Ma, Klaus Manfrini, Gian Paolo Peloso, Felix Ungar and Jeremy Williams. Elanna is also an active chamber musician and soloist with the elite Hong Kong Camerata Strings, playing both violin and viola. An ardent supporter of several charities, she hopes to use her talents to serve her community locally and globally. 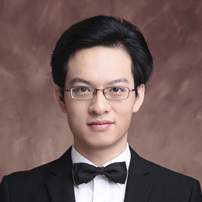 Wong Sze Yuen has won top prizes in many prestigious competitions including First Prize in the 17th International Chopin Piano Competition in Asia, the Asian Youth Music Competition and the International Competition Hamburg Composers – ICoM Piano Award in Germany. He also won Second Prize in the Korea International Competition for Young Pianists and Grand Prize in the 2016 HKGNA Music Competition. He was invited to perform in the Paris Salle Cortot Hall, Shanghai Concert Hall and as soloist with the Hong Kong Pan Asia Symphony Orchestra. Wong Sze Yuen graduated the junior division at the Hong Kong Academy for Performing Arts (HKAPA) and is currently pursuing his Bachelor’s degree at HKAPA under the tutelage of Professor Gabriel Kwok with full scholarship. 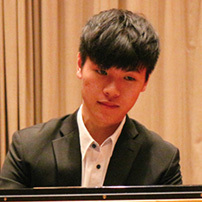 Wong Sze Yuen made his New York debut at Carnegie Hall 2017 as Grand Prize Winner in the 2016 HKGNA Music Competition. 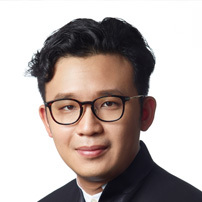 International award-winning pianist Liyan He’s major teachers include Gabriel Kwok (The Hong Kong Academy for Performing Arts), Chengzong Yin, Zhe Tang(Shanghai Conservatory of Music) and Jintian Kang(Shenzhen Arts School). Hailed as the Young Talent from the Far East for his concert in Israel, Liyan has Performed at Carnegie Hall, Peking University, the Arthur Rubinstein International Piano Festival, Pianofest in the Hamptons, Beijing International Music Festival, and Academy, and HKGNA Music Festival. He has performed concertos with Xiamen Philharmonic, Hong Kong Youth Symphony Orchestra, Hong Kong Tak Ming Philharmonic, and HKAPA Symphony Orchestra under the batons of Song Gao, Wing-heng Pak, Colin Touchin, and Alan Cumberland. In the past 2017-2018 season, Liyan performed in Shanghai, Guangzhou, Ningbo, Wuhan, Changsha, Yinchuan, Shantou in China, Trossingen in Germany and Singapore. Liyan also working with Harmonica player Gordon Lee and Flutist Nancy Wong as an ensemble called Encore Trio, released their first album in the early 2018. 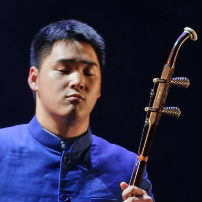 Born in Heilongjiang, China, Ethen Yang started learning erhu when he was twelve. Losing his eyesight due to sickness did not deter him from pursuing his interests in music. He had been taught by two renowned mainland China artists, Aping Li and Bolin Gan. After migrated to Hong Kong in 2014, Ethen has worked with different musicians and organizations, local and overseas, such as Asian Chamber Orchestra, Hong Kong Philharmonic and represent Hong Kong to perform in the 9th International Abilympics in Bordeaux, France in 2016. He was awarded Gold Medal in The 5th and 6th International Chinese Instrumental Competition (Erhu Category), and The Most Outstanding Performer Award (Children and Youth) in “Cross All Borders: Hong Kong Festival Showcasing New Performing Artists with Disabilities 2015”. Ethen is supported by the Lee Hysan Foundation. Lee Shing experienced serious vision impairment due to congenital retinitis pigmentosa. Despite his gradual worsening eyesight, Lee Shing continued with a strong pursuit of piano music. He obtained the ACTL Performance Diploma provided by the Trinity Guildhall with an outstanding grade. He gave his first solo piano recital in 2009. He performed with musicians from the Royal Academy of Music HK Alumni Association in St. John Cathedral for “Musical Bridge – A Charity Concert for the Arts with the Disabled Association Hong Kong”. He was awarded both The Most Outstanding Artistic Achievement Award and The Most Outstanding Performer Award at “Cross All Borders: Hong Kong Festival Showcasing New Performing Artists with Disabilities 2011”. Lee Shing also participates in various international exchange events. In 2015, he was invited to perform as HKGNA/ADA Musical Angel in “HKGNA Young Virtuoso Concert 2015” at Carnegie Hall in New York City. Mr. Patrick Yeung, general manager of Cathay Pacific, Taiwan and Korea has a longtime passion for classical music and philanthropy. Mr. Yeung started his singing journey as a member of the St. Paul’s Co-Educational College choir under the baton of Mr Jimmy Chan. Mr. Yeung has performed as a soloist in numerous charitable/fundraising concerts in Hong Kong and has helped raised money for many charities including Medecins Sand Frontieres Hong Kong, Arts with Disabled Association, LifeLine Express, and Opera Prima Society to name a few. 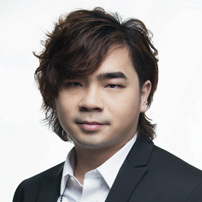 Mr. Yeung has performed with the Hong Kong Philharmonic, Hong Kong Chinese Orchestra and Opera Hong Kong. He has performed extensively in Asia and US, including Beijing, Singapore, Taiwan, Manila, Shanghai and New York’s Carnegie Weill Recital Hall. 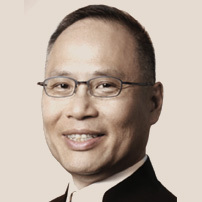 Mr. Yeung has been studying Bel Canto singing with world renowned professor NI Cheng Feng since the late 90’s.